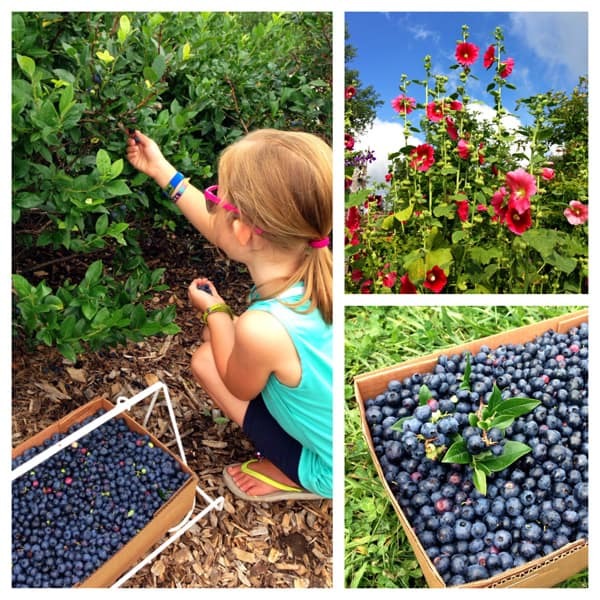 Last week, the girls and I fulfilled our annual tradition of taking a beautiful drive down Wisconsin’s scenic Great River Road, to pick fresh blueberries at Rush River Produce near Maiden Rock. It was a warm and sunny Saturday morning, a perfect day for packing a small cooler of cold drinks and hitting the road. 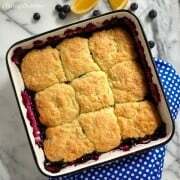 One of the recipes that evolved from our stash of picking was this Blueberry Cobbler with Orange Biscuit Puffs. Adapted from a favorite family recipe that uses apples, this new rendition promises to be equally loved. We arrived at Rush River Produce after a light early morning rain. The sky was hazy, yet bright, offering a most lovely picking. Our girls look forward to picking each year as much as I do. Once you get the hang of quickly tickling the berries off the bush, it doesn’t take long to fill a box of wonderful sweet fruit. I also enjoy how quaint and picturesque the Rush River Produce farm site is. With an abundance of perennial gardens, plus 9 acres of 14 different varieties of blueberries planted over gently rolling hills, it’s a little piece of heaven. And then, when our blueberry picking is done, we head a little further south to super sweet Stockholm. 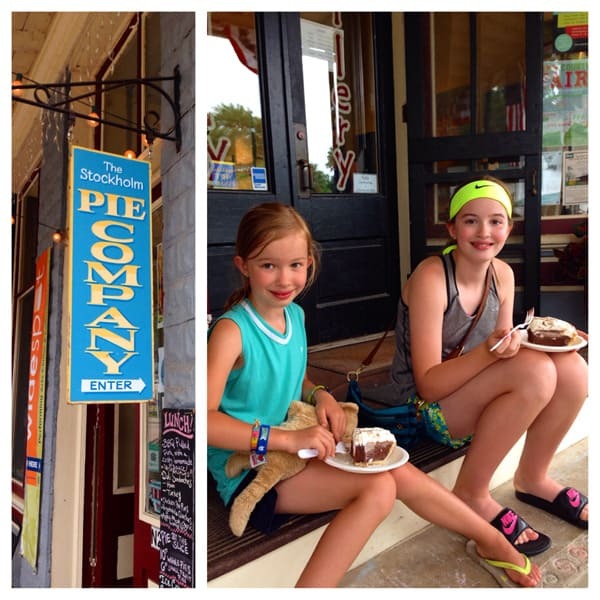 The girls and I eat lunch at the Bogus Creek Cafe, topped off by a slice of pie at The Stockholm Pie Company. It’s part of our blueberry picking tradition and simply can’t be skipped! 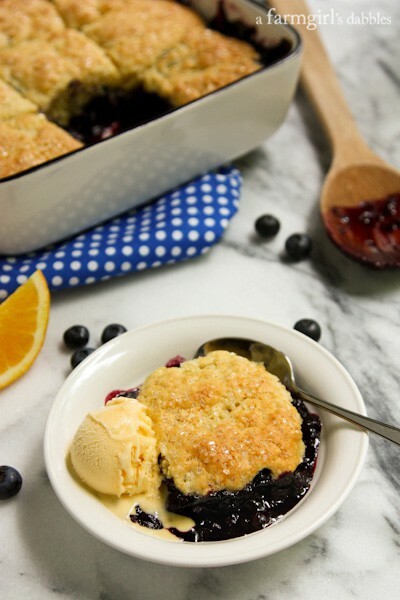 This blueberry cobbler is downright irresistible with the addition of fresh orange. It’s a favorite combination of mine, one that I couldn’t quit thinking about after making Blueberry Hand Pies with Orange Glaze from our pickings last year. You will want to eat this cobbler while it’s still warm from the oven. Spoon up a generous portion of blueberries with a light and flaky orange biscuit, and then top it off with a scoop of cold vanilla ice cream. It’s perfection. Sweet blueberry bliss, with a kiss of orange. Preheat oven to 350°. Lightly spray a 9″x9″ pan with tall sides with cooking spray. Set aside. Place blueberries in a medium bowl. Add orange juice and vanilla, and then toss. In a small bowl, whisk together brown sugar, cornstarch, cinnamon, and salt. Sprinkle over the blueberries and toss to combine. Set aside. In a large bowl, whisk together flour, sugar, baking powder, salt, and orange zest. Add butter and cut in with a rigid pastry blender or two forks until butter is distributed evenly and forms large crumb-like pieces. 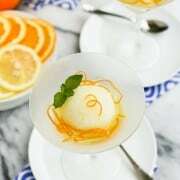 In a small bowl, stir together milk and orange juice. Add to flour mixture and stir until just combined. Give the blueberry mixture a good stir to incorporate the accumulated juices and then pour mixture into prepared pan. With a large spoon, scoop up orange biscuit dough and place 9 dollops of dough across the top of the blueberry mixture. The biscuits will spread while baking. Sprinkle with course sugar. Bake for 45 minutes, or until the blueberry mixture is bubbling and the biscuits are nicely browned. Let cool for 15 minutes. Serve with a splash of cream or a scoop of vanilla ice cream. From a farmgirl’s dabbles, adapted from a favorite family recipe: Cinnamon Apple Puffs. This looks fantastic! A keeper recipe, yumolla. So simple to bring together which I just love love those recipes. Keep them coming. Happy Birthday to you! We made these yesterday using frozen wild black raspberries. Wow! Thank you for a fantastic recipe. So good and only 1/4 cup of butter in all that rich flavor. Cobblers, especially in the summer when so many fruits are available, are so easy to make and oh-so delicious! I usually make a quick oat-and-flour crumble instead of biscuits but biscuits sound like a great idea! I fail at every cobbler I make; however, this turned out awesome and tasted so good. Thanks for the recipe. I never turn down cobbler. Ever. Yum! What a fun tradition! Love the blueberry orange combination! Wowsa, this looks amazing! I can’t wait to make/try/eat/share (maybe!) this! Looks like the most fun day picking blueberries! And I just love this recipe. People always tend to pair lemons with blueberries but I think orange is even better! I agree with you. Orange still gives that same brightness as lemons, but it’s just a bit unexpected. I am loving that orange biscuit topping! These are the times your girls will grow and never forget! This recipe has a great flavor combo with blueberries and orange together. I can’t wait to try this! 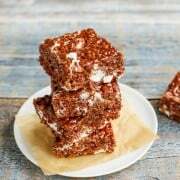 Thanks so much for sharing this recipe Brenda! I am totally jealous that your able to go blue berry picking! I wish we could do that here in Miami! This recipe looks to die for! I wish you could, too!! I love the flavor combination of blueberry and orange, comfort food at the max! 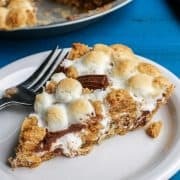 Oh my, this looks so yummy, Brenda. Plan to make this soon! I really need to go berry picking one of these days! 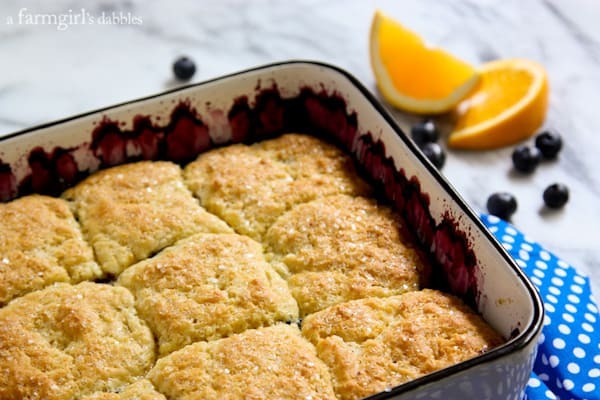 Love the orange-flavored biscuits on top of this yummy cobbler. What good times with your daughters to build family memories with them picking berries. I love your dessert creation. 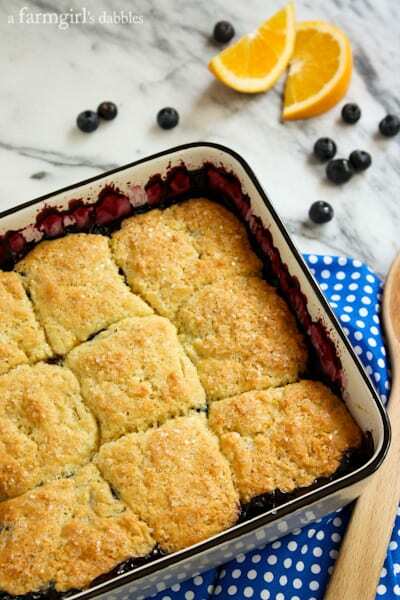 Yeah, those orange biscuits are a great topper for your blueberries. Sounds amazing! You brought back memories of fruit picking traditions with my Mom. Feeling a little teary, but happy with good thoughts. Loved the pics of your girls. Very nice photos—-really caught the spirit and I could feel the sun and smell the fruit. I liked the recipe too—-the orange flavored puffs was a most excellent idea. I pinned it. Ahhhh…thanks, Carol. Glad this brought some happy memories back to you. Your girls are adorable! I love the orange and blueberry flavors in this fabulous summer dessert! Incredibly delicious! I love it! Wow, those blueberries are just gorgeous! What a fun family day. I am a little jealous! And this cobbler sounds delicious. I love those biscuits! Thanks, Tieghan. 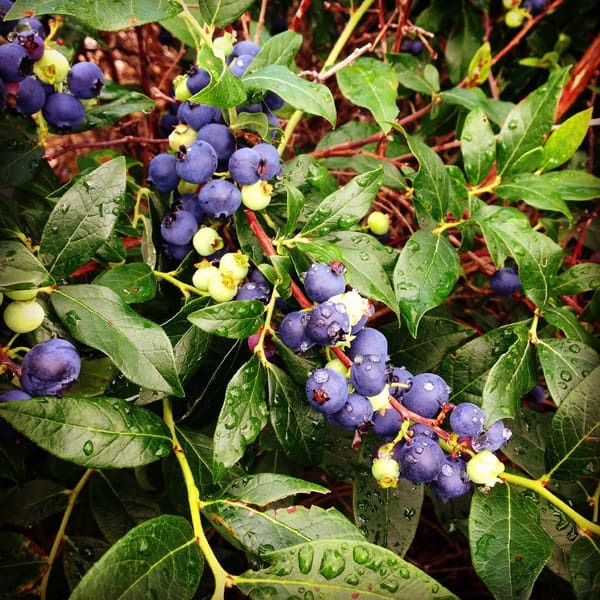 We definitely look forward to our annual blueberry picking!